The collapse of the Scholes–Merton based Long Term Capital Management (LTCM) hedge fund should have sounded alarms or, at least, raised questions about investment strategies based on risk–neutral probabilities. More recently, the fallout of Enron, WorldCom, and similar fiascos must now give pause to those who take the efficient market–based formula for "fair prices" (especially in options and derivatives) as rigid laws. ∗ Develops a conceptualization of risk profiling based on their development of the simugram. As opposed to the Markowitz approach of maximizing growth subject to acceptable levels of volatility, the authors use the simugram, their computer intensive forecast of the time–indexed density function of portfolio value. Percentiles, rather than expectations, form the major bases for the criterion functions and constraints utilized for portfolio management. 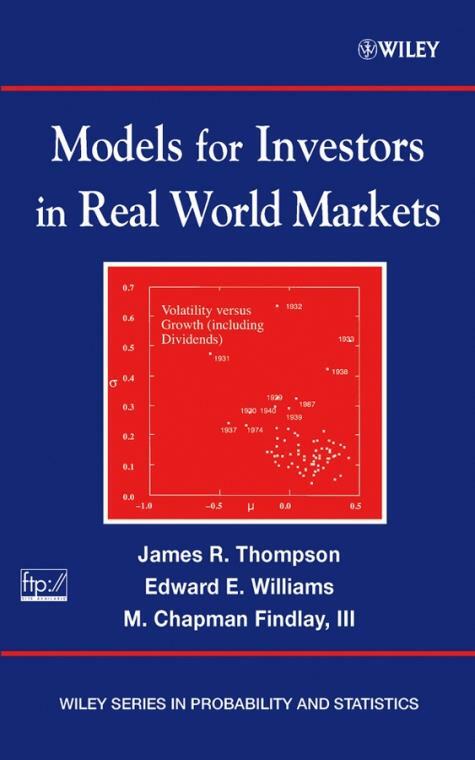 For anyone who has ever questioned–or should have questioned–the efficient market orthodoxy, this book will be a valuable reference on market analysis and investment strategy.